Looking for a simple, cheerful costume idea? Why not a flower? 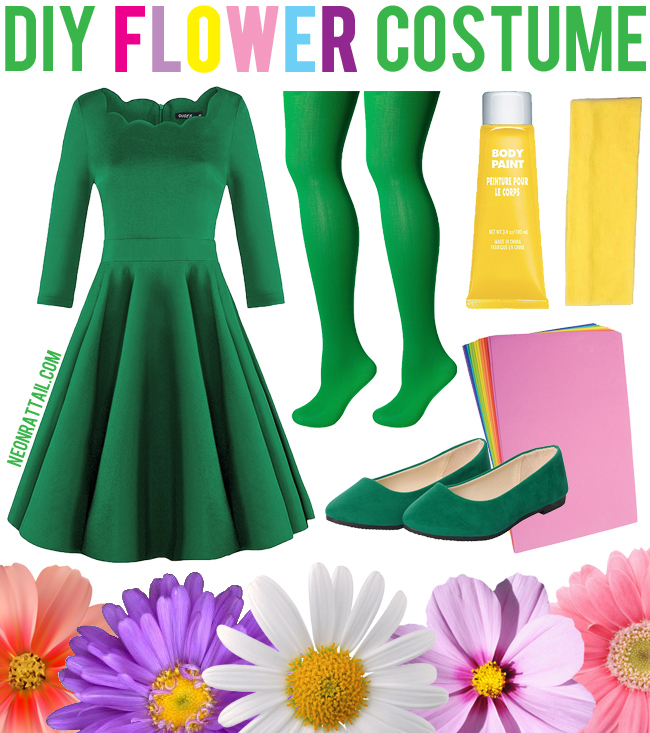 Easy to make and easy to wear, a DIY flower costume is a cute option for when you want to put in the effort, but not too much effort. It’s also great because you can easily wear clothes you already have or, if you need to buy them, you can easily wear them again. 1. Wear the green tights, green dress, green shoes and/or any other green clothes of your choice as a base. Easy! 2. Paint your face yellow with the Halloween makeup to look like the center of your flower. 3. Cut petal shapes from your thick foam sheets (thick is important - we want those petals to stand at attention!). If you feel like they need it, cut matching petal shapes from cardboard or foam board to glue to the foam petals, just to ensure they stay sturdy. 4. Use the stretchy headband as the base for your headpiece. Hot glue the petals around the headband, spaced out so that they cover the whole circumference (it’s probably smart to measure the length of the headband first and divide those inches by however many petals you want to find out how wide each petal should be). You could even add a large plastic planter to your look by cutting out the bottom and adding straps if you want a potted plant look. Wanna be a bouquet? Make additional cardboard/foam board flowers and secure them to the shoulders or back of your dress. More of a succulent person? Instead of petals, make a cactus-shaped cutout and secure to a headband, or make spidery arms to wear on your head and body to look like an aloe plant. 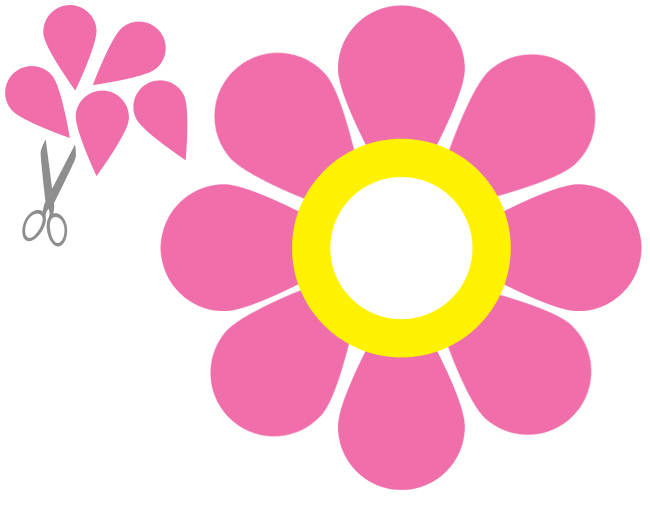 Use your flower power to rock that Halloween party!